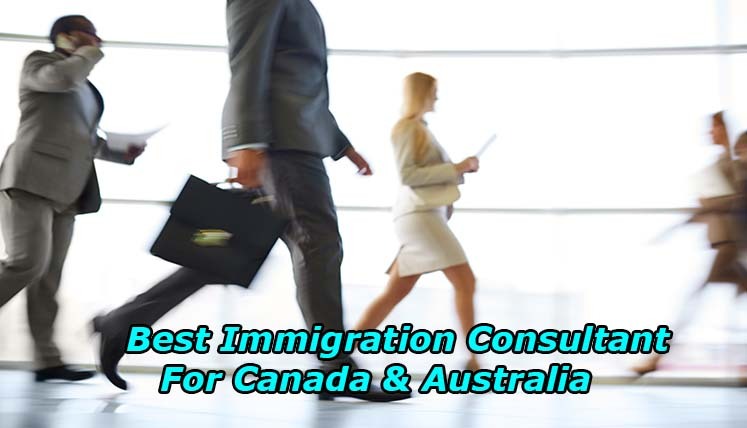 What Makes Visas Avenue the Best Immigration Consultant for Canada & Australia? Canada and Australia are two of the popular immigration destinations in the world. Together, both the countries invite millions of immigrant every year under different visa categories, i.e. permanent residence visa, student visa, business and investment category visa, visit visa, etc. However, point-based immigration system in both the countries often confuses several applicants. Canada and Australia are also very particular about their immigration process, rules, and guidelines. Hence, the applicants willing to apply for visa in any of the two countries must prepare well under the expert guidance. We at Visas Avenue are a popular and reputed Visa and Immigration Consultancy Service for Canada and Australia immigration process. We are accredited by premier immigration regulatory bodies in Canada and Australia (i.e. ICCRC & MARA). We are a team of highly skilled and most experienced immigration agents and professionals. Our mission is to make immigration and visa procedure utterly smooth and tension free for the aspirants of migration to Canada or Australia. Australia and Canada need immigrants due to their low birth rate and ageing population; hence, they invite, welcome, and accept the immigrants with open arms. However, despite all the benefits and possibilities of immigration to these countries, by no means it’s a cake walk for you as an aspirant of visa or immigration. You still need to go through their point tested immigration process and compete with the thousands of candidates in line for the visa in Australia or Canada. At Visas Avenue, we provide complete visa process assistance to the visa applicants for immigration to Canada and Australia. Our team of immigration professionals has vast experience in the immigration procedure of both Australia and Canada. We simplify the process for the people seeking a professional help from us for moving to their dreamland. We crack complexities of the procedure for our clients and help them understand every minute aspect of migration and settlement process. Our Immigration Experts have great expertise in Express Entry System (Canada) & SkillSelect Online System (Australia). We offer you the best immigration programs or visa categories for immigration, i.e. Canada: Express Entry, QSWP, SINP, OINP, etc. Australia: Subclass 189 Visa, Subclass 190 Visa, Subclass 489 Visa (temporary), etc. We provide you complete assistance in submitting the Expression of Interest (EOI) in Express Entry System, QSWP, SINP, and OINP, etc. immigration programs of Canada or SkillSelect/Immi-account of Australia. Visas Avenue experts offer complete support in lining up the key immigration documents and submitting the visa application to the immigration office with complete accuracy. Read More– 6 Canadian Permanent Residency Visas Grant in a Single Day! We at Visas Avenue, with our years of experience and expertise in Canada and Australia migration procedure, prepare and present your application the best way, so that you survive the competition and acquire the approval of your visa application, through expert guidance and help. So, if you are an aspirant of immigration to Australia or Canada, get in touch with certified immigration and visa experts at Visas Avenue to find the best immigration support and assistance and obtain visa for your desired country at earliest. You can send you immigration queries and details to the visa and immigration expert at info@visasavenue.com to receive a call from the expert. QSWP Vs PNP- Which One to Choose to Apply for Canadian PR? When is the best time for immigration to Canada or Australia?